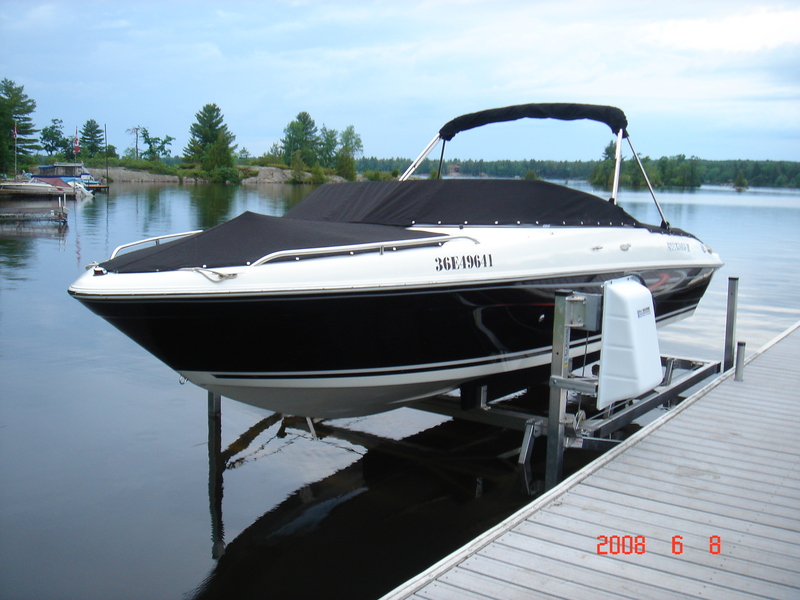 Keep your boat safe and secure. 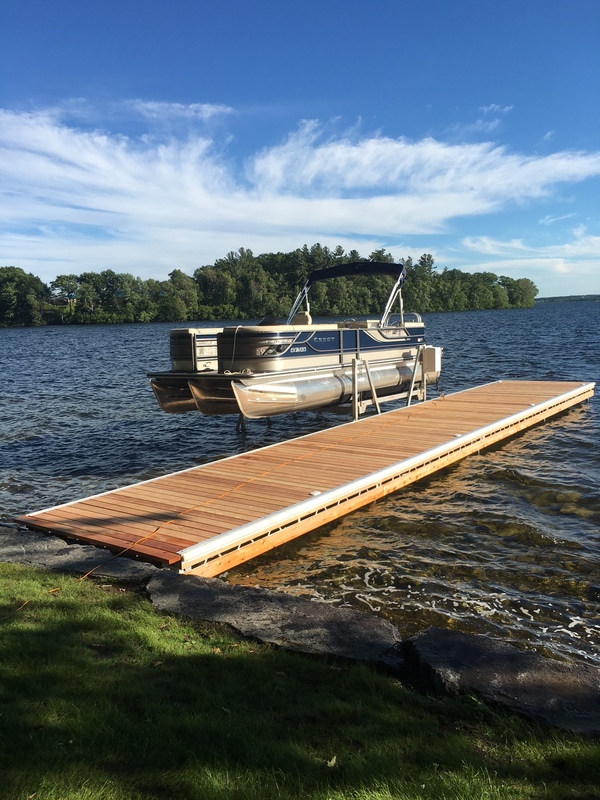 When it comes time to pack up the water skis and tubes for the day, it’s important to have the right marine products installed on your shoreline to protect your boat from damage. 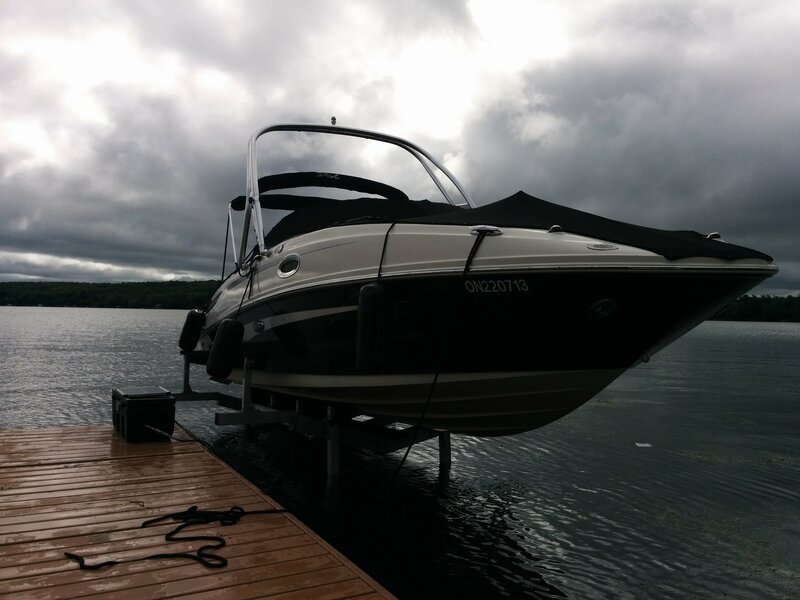 Among many other benefits, Boat Lifts offer superior protection from waves, dirt/algae build-up, and bad weather. 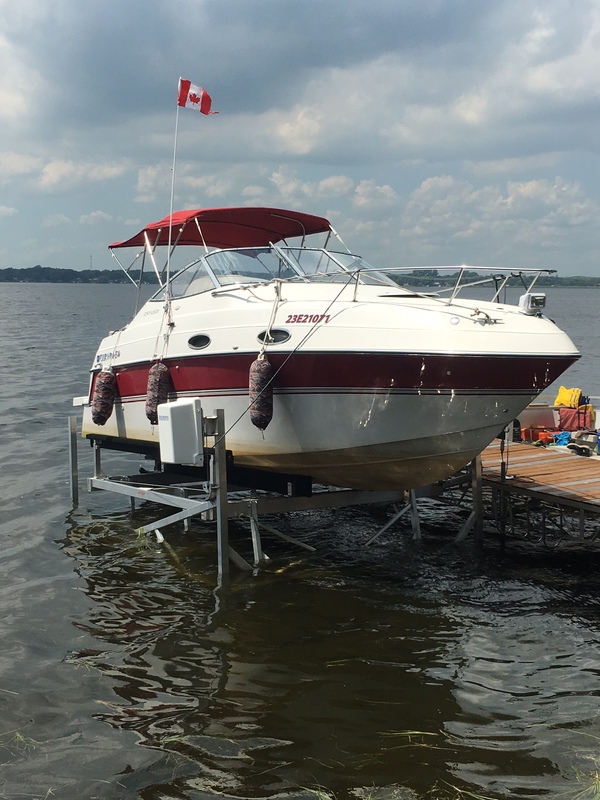 Our Canadian made Cantilever Boat lifts, Vertical Boat lifts, Hydraulic Boat Lifts, Wet Slip, and Hidden Beam Wet Slip Lifts make your summer relaxing and worry free knowing that your boat is safe and secure. 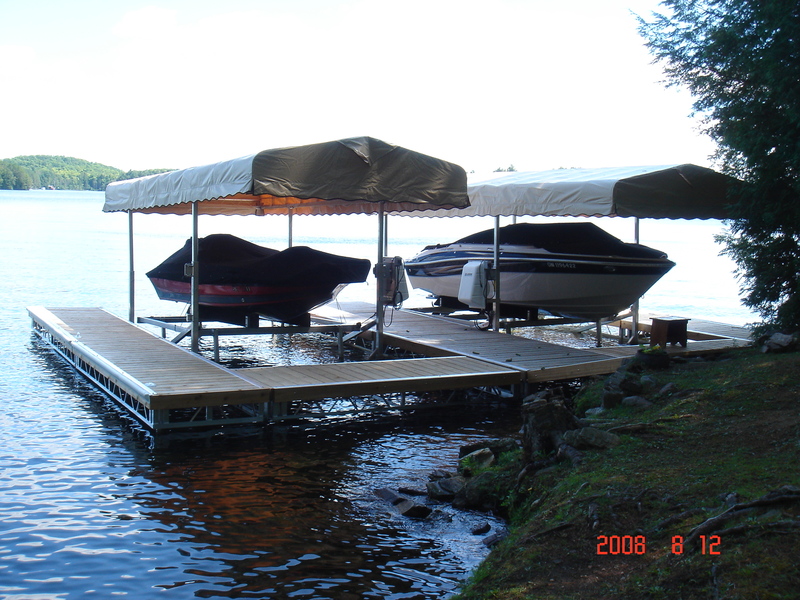 There are a variety of different factors that influence what type of boat lift is best for your shoreline. We serve our customers on an individual basis and work with them to present the best possible options for their needs. 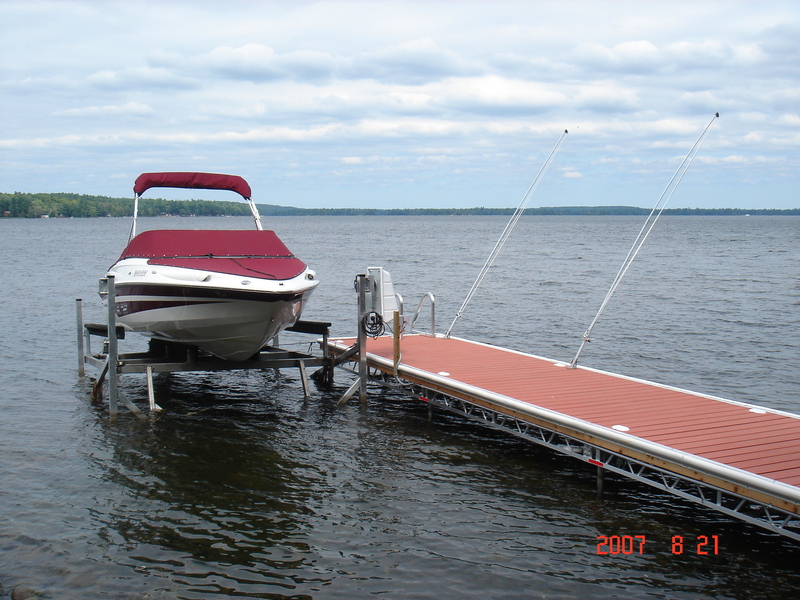 Shorelines that have a large water fluctuation on a seasonal basis and lakes with large waves may be best suited to Vertical Boat Lifts. 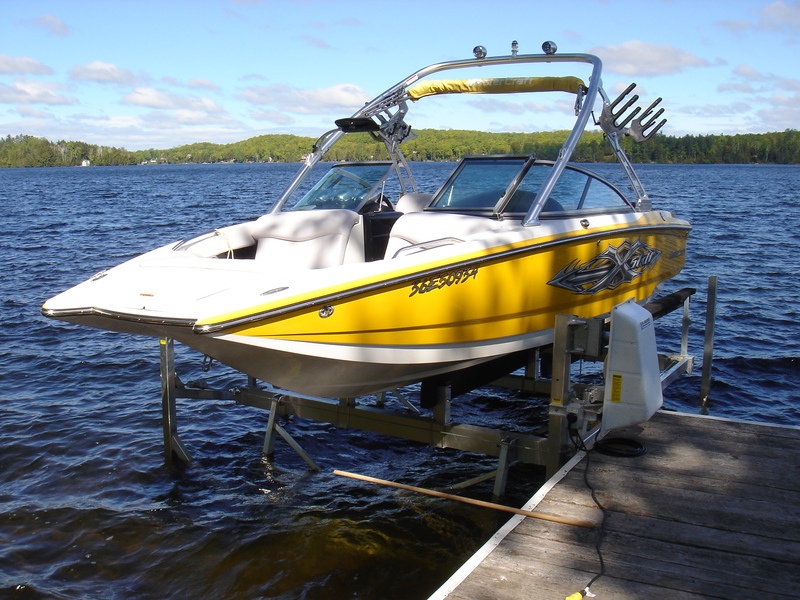 They can be lifted using either an automatic brake winch or electric powered 120-volt winch. 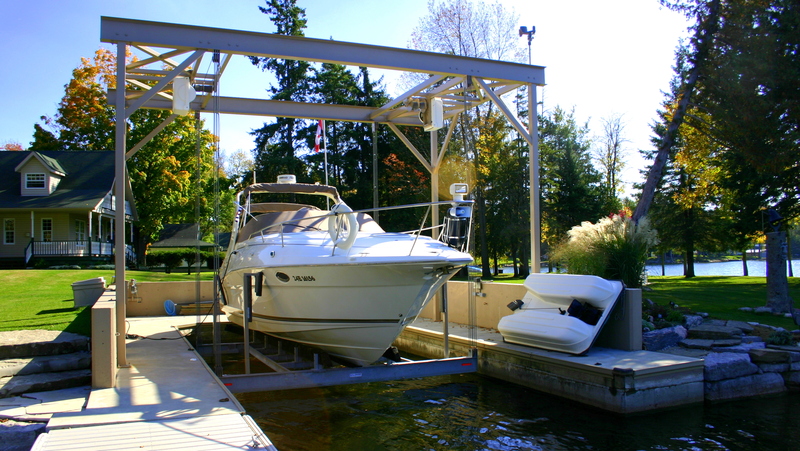 These boat lifts have six feet of vertical lift and offer easy access to your boat from either side of the lift. 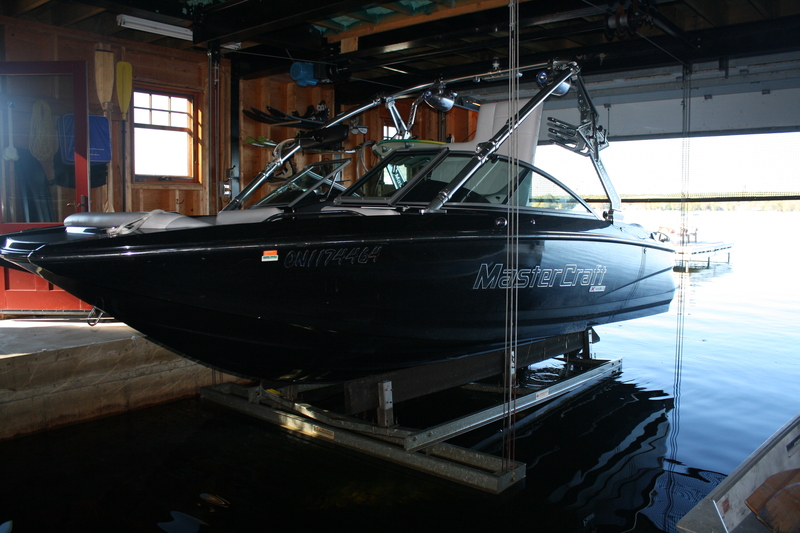 Cantilever Boat Lifts are another option. 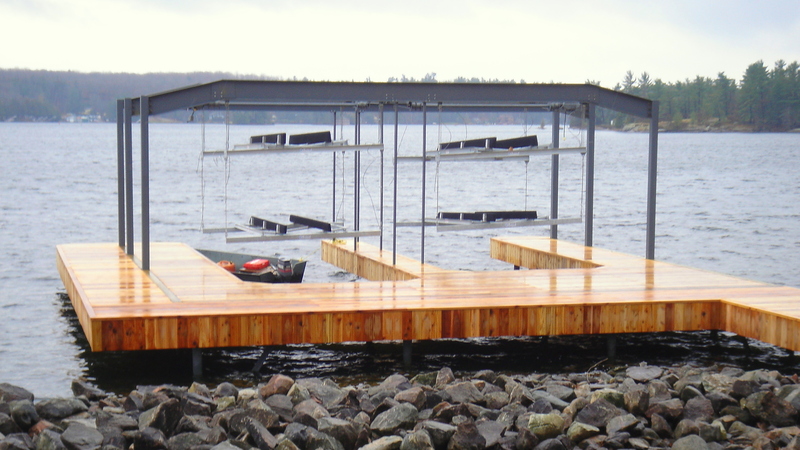 They make use of leverage to raise the boat out of the water and consist of two H-shape structures which are pulled by a cable into a vertical position. 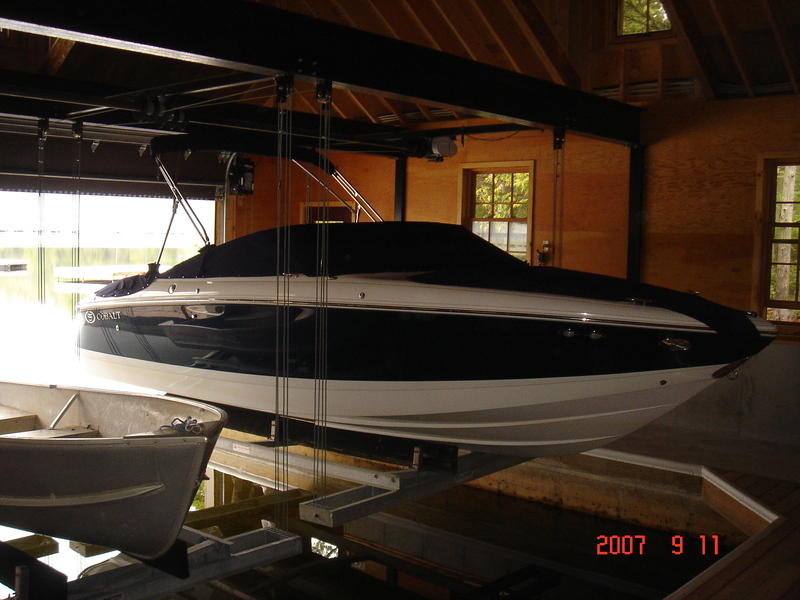 With cables running externally, Cantilever Lifts can be easier to maintain then a Vertical Lift. 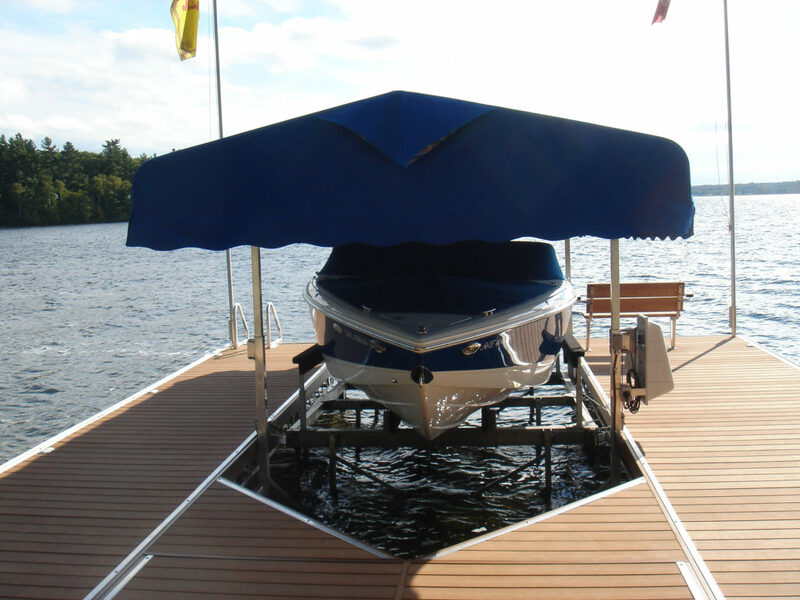 Hydraulic Boat Lifts that offer sophistication and protection from harsh marine environments. 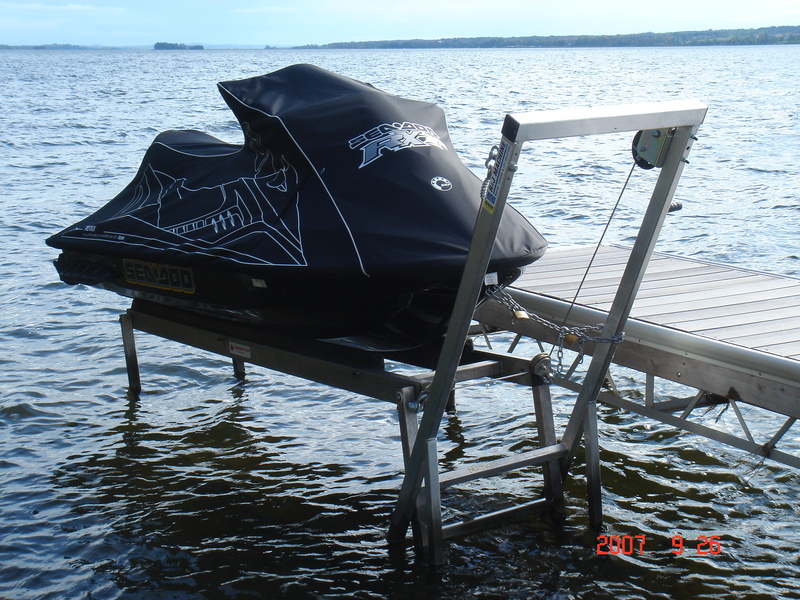 Up and down movements are controlled by the push of a button and they’re powered by a 12-volt battery. 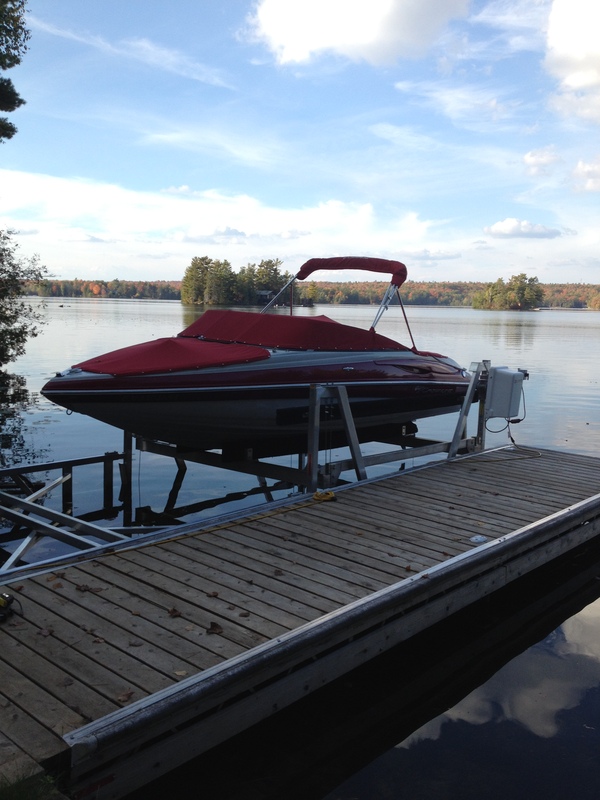 Solar panels on the top of the dock also keep the battery charged. 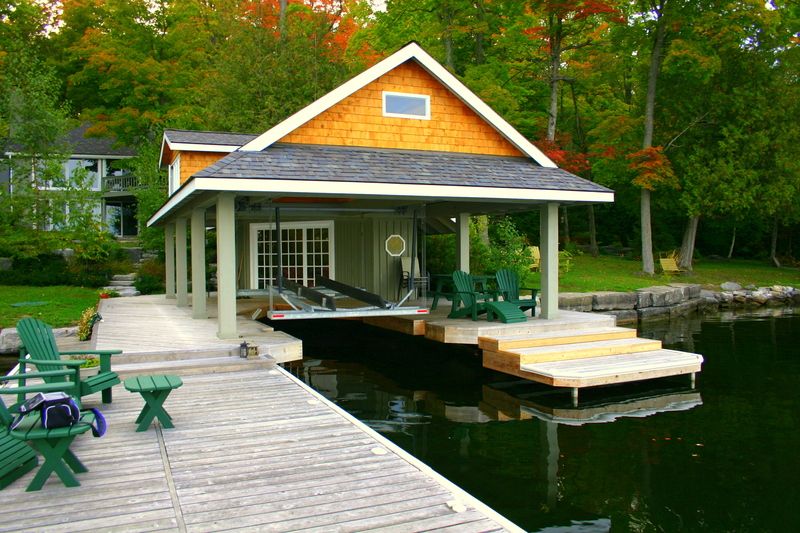 If you have an existing boathouse or are planning on building a new one our Wet Slip and Hidden Beam Lifts offer a great solution to keep your boat protected and out of the elements. 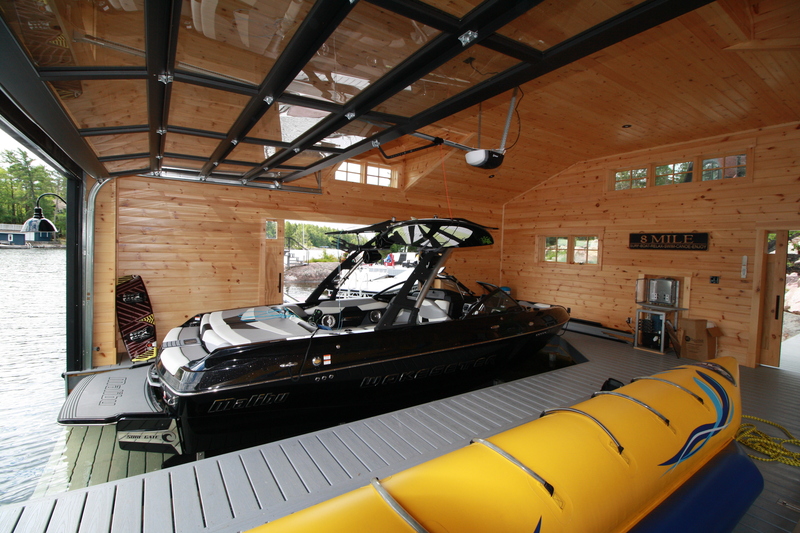 Some of the features are oil bath gear boxes, grease-able pulleys, stainless steel cables and remote controls.